Are you looking for a top-quality turkey deep fryer at a very reasonable price? Then this one from Bayou Classic should be at the top of your list. 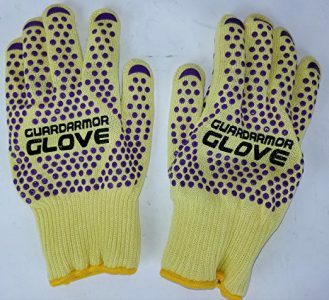 Read our buying guide packed with information to help you decide if it’s the right one for you. 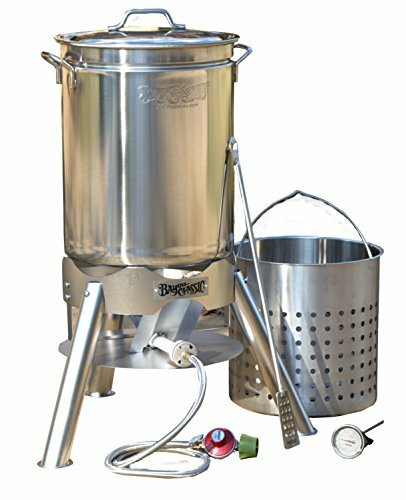 The Bayou Classic Stainless Steel Turkey Fryer is a top-quality product from a trusted name in outdoor deep frying of turkeys and a whole host of other things. 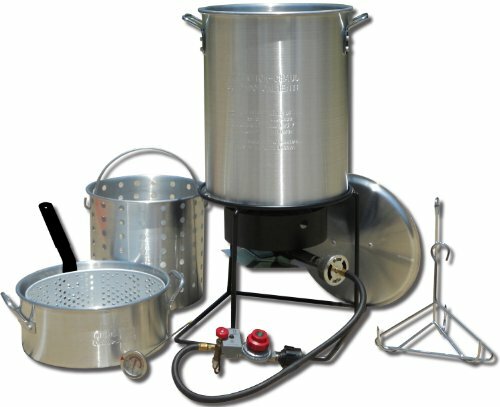 This kit includes the pot +lid, basket (for steaming or boiling), skewer set, hook + hook plate, injector and thermometer. 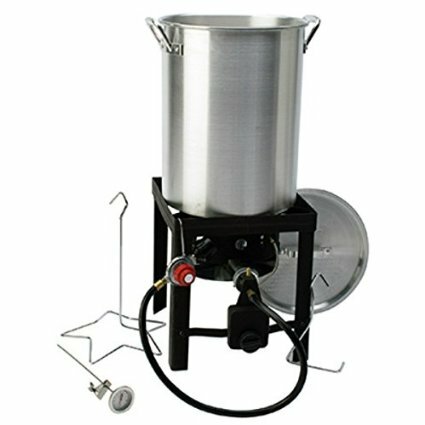 If you’re looking for a kit that includes the cooking stand as well as a pot, a better choice might be the King Kooker Turkey Fryer Kit. But if you have a stand already, this stainless steel pot (along with a ton of extras) is a serious performer and worthy of any backyard deep-fryer. 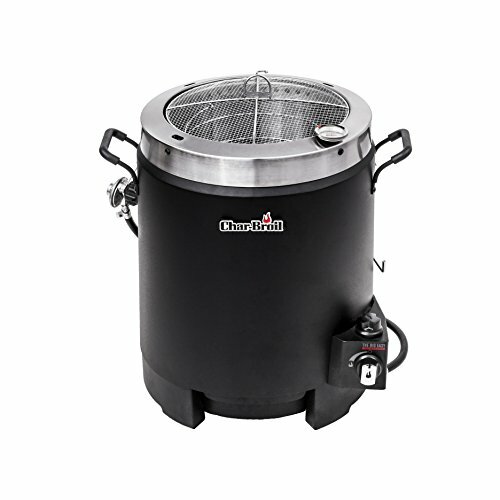 If you’re looking for a top-quality stainless steel pot to deep-fry turkeys or other large chunks of meat in, this Bayou Classic Stainless Steel Turkey Fryer makes an excellent choice. It also steams and boils just about anything from big pots of stew to veggies to home-brew beer with ease. 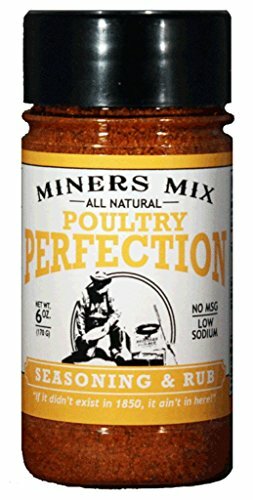 While there are a few negative reviews related to the quality of this turkey frying pot, overall it’s an excellent product with an extremely high rating on Amazon. 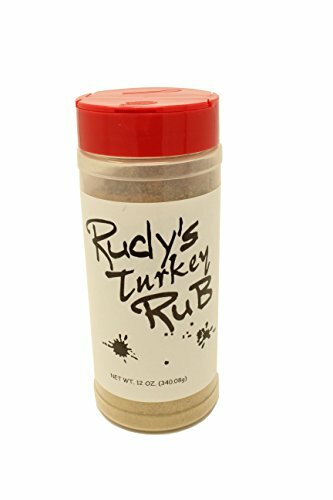 It’ll do exactly what it claims: deep-fry delicious turkey! 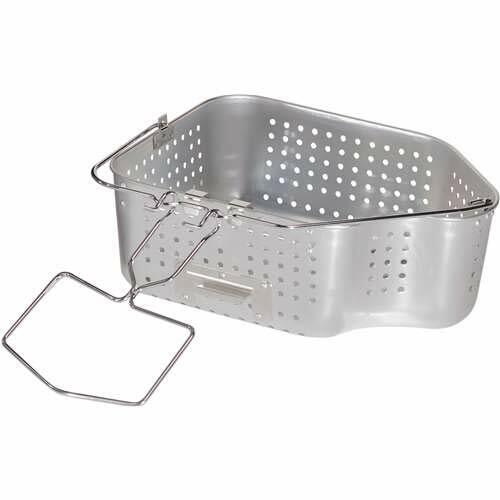 Please note that this kit does not include the stand or cooker, but is simply the pot, basket and a few other accessories. 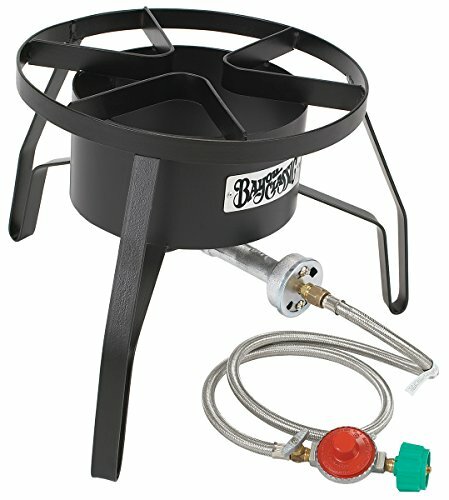 It’s designed for outdoor use with a propane cooker and stand. What are your thoughts about the Bayou Classic Turkey Fryer? Leave a comment below and let us know. 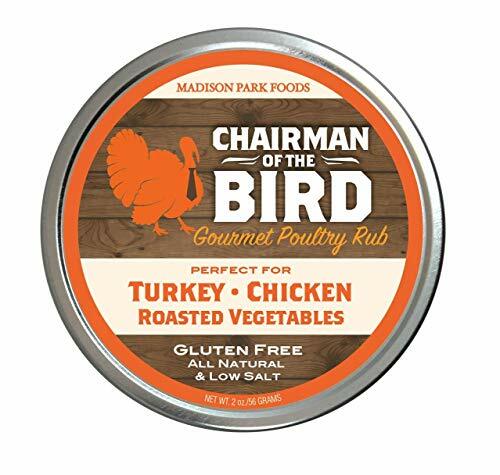 Char-Broil Big Easy No Oil Turkey Fryer Review: The Right One for You?